The major in kinesiology builds on a foundation of basic science in the areas of biology, chemistry, mathematics, physics, and statistics. Kinesiology courses apply these foundation requirements to the scientific study of human movement. Students complete 22 credits of requisite courses, including calculus, physics, and chemistry, as well as 36 credits of core kinesiology courses. In addition, students choose 6 credits of kinesiology electives to focus on specific interests within the field. Students are strongly advised to consult their academic advisors about the content and sequence of their curriculum, especially where the choice and sequencing of electives are concerned. Explain the scientific foundations of human movement including: physiology, biomechanics, motor control, behavior, and the relevance of physical activity to human health. Demonstrate the knowledge and practical skills necessary to work in kinesiology and related fields. 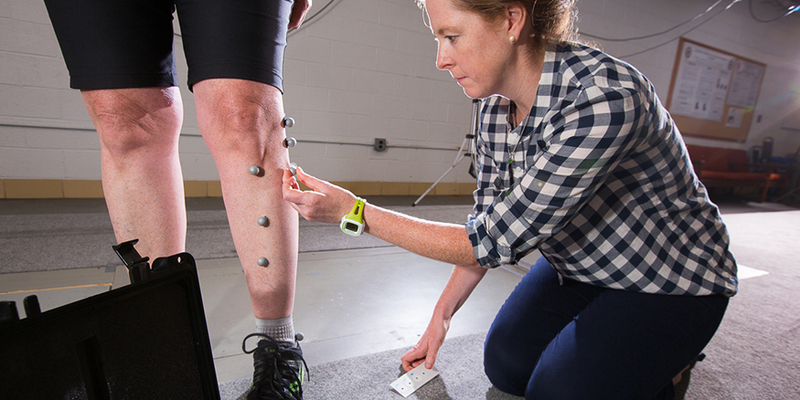 Effectively analyze and interpret numerical and statistical information relevant to kinesiology. Successfully communicate scientific information about kinesiology to a diverse population.